From The Legal Genealogist to all those who have so enriched my life in 2014… I wish you the merriest of Christmases! The appearance of external links in this wish does not constitute endorsement of said sites or the information, products or services contained therein. This web site does not exercise any editorial control over the information you may find at these locations. These links are provided consistent with the stated purpose of this wish. Added for 2015!! Merry Christmas, Bill! But I’m not contractually precluded from contacting a proctor in admiralty, so you’d better search for the nearest lifeboat. I can swim! Merry Christmas, Ralph! Acts of human kindness were not part of the disclaimer, only those things that really don’t matter at Christmas anyway. Truly a merry wish indeed. I will continue to spread good cheer today. And a very Merry Christmas to you too, John! It was her only hope (Ha!) of keeping her five sons (b. between 1960-1970) in control until the inevitable chaos ensued! Happy New Year! Love it Doug (your poor mother!). STOLEN… um… borrowed for 2015! Merry Christmas, my friend, to you and yours! Not stolen, but acquired as the saying goes in the military. Did anyone notice that, for the most part (and starting around the 10th paragraph), it’s in alphabetical order? Can I hold her accountable for that? I want my lawyer! Merry Christmas to you and yours, bro! Don’t forget, horses can own humans as well and they are a wee bit larger than a cat. I had a horse did own me and he was very assertive. I like it. Have a great 2015, and keep up the good blogging. Thanks for the kind words, John, and happy 2015 to you too! It’s my lucky day! I haven’t checked with my lawyer yet, but it appears to be valid in Alaska and Hawaii. Merry Christmas from the 49th state! Now that’s funny!! Merry Christmas to you too! Even with all the included “disclaimers” and those nasty “terms and conditions” I’d still like to wish you a very Merry Christmas Judy and will continue to enjoy your blog. All the best for 2015! And a very Merry Christmas to you too, Salli! Judy, You are a hoot! Looking forward to what you bring forth next year. Merry Christmas to you and envy you for spending Christmas in my favorite state, Virginia! Merry Christmas to you and yours, Gloria! 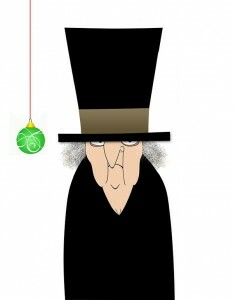 Merry Christmas…enjoy the blogs, humorous, factual and full of sources! Thanks so much, cousin Stan! Hope all your Christmas wishes come true! Just for that, I had to subscribe and for the life of me, can’t figure out why I hadn’t before! Thanks, Judy, great read and great laugh. I wish you a Happy Holiday too, within the legal constraints allowed me by any relevant agency. And a Happy Holiday to you and yours! Thanks for the regal, I mean legal, Christmas wish. It sure must have taken you a long time to think this one through. Enjoyed it immensely, hugely, greatly, extremely, excessively, very much — but I’m not sure that I can meet all of the judicial restrictions that apply. Can my now wish be for an unlimited number of future wishes?